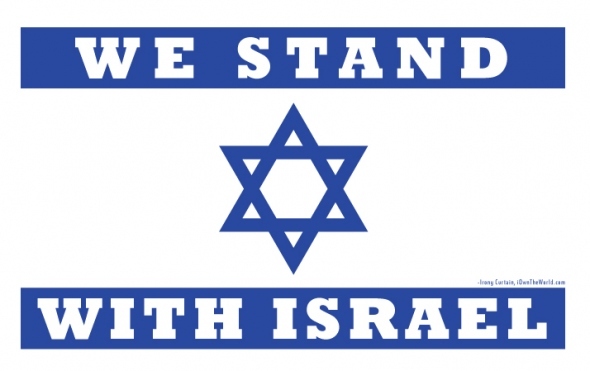 PRO-ISRAEL ANTI-DEMOLITION DEMONSTRATION Pics & Vids | the "silent" majority no more! 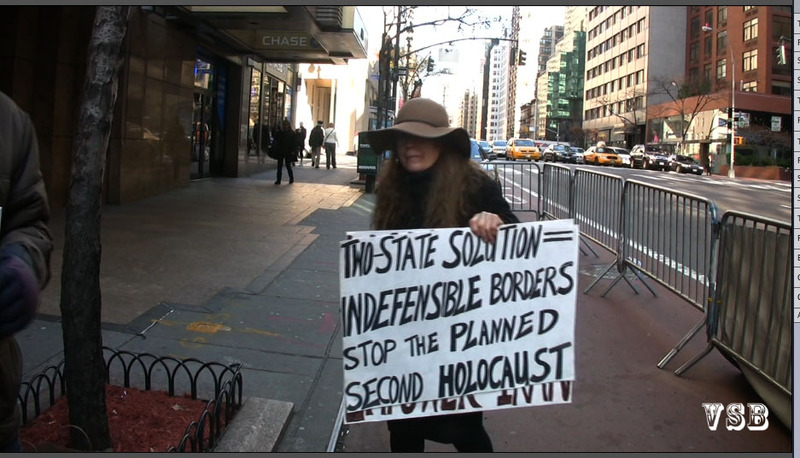 AFSI’S ANTI-DEMOLITION DEMONSTRATION was held in front of the Israel Consulate on a chilly Sunday morning, December 11, 2011. 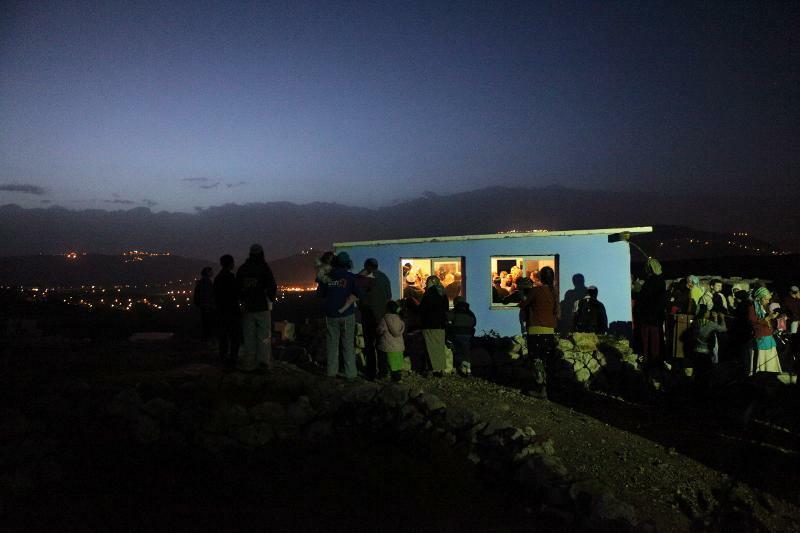 On Dec. 1 we learned of the Israeli government’s betrayal of its purpose and its people when it sent in a Destructo squad, including Arabs, to demolish the modest tent homes and the synagogue on the hilltop. Teenagers who should be enjoying the carefree years of youth, are left embittered and bewildered by the scenes of the IDF, the police, and Arabs, destroying their homes. The love and trust placed in one’s parents and government is shattered. Where does one turn for security and protection? The disillusionment and despair is devastating. THE VIDEOS are each uniquely powerful statements. I’m posting all 14 in a Playlist on You Tube. The video playing will go automatically to the next video OR you can click thru to YOU TUBE to see the whole page. There were FOURTEEN (14) short videos of all the speakers. AFSI has been reporting on the Israeli Destructo squads continue their dirty work undeterred by logic and common sense. Wouldn’t it seem natural to suspend all demolition orders while Israel’s citizens are under rocket attack from Gaza, and the threat of rocket attack from the north? These matters seem to be unrelated. The demolitions continue regardless of the fact that they ignore the realities on the ground. 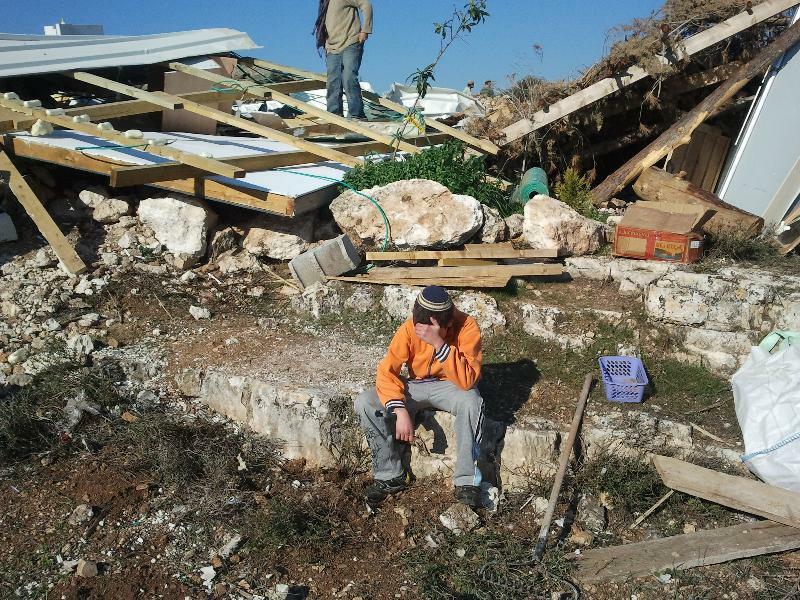 Arutz Sheva (www.israelnationalnews.com) reports on the destruction of homes in Mitzpe Yitzhar. The heartbreaking photos of this useless, unwarranted, self-abasing, cruel and inhumane action are here&gt;&gt;. Other communities are also threatened. Yesha Council Chairman Danny Dayan sent a letter to all of the ministers and MKs, noting that 150 homes, housing 1,000 Israelis who have lived in their homes for over ten years, are scheduled for destruction in the near future: Givat Assaf, Ramat Gilad, Migron, the Ulpana neighborhood of Beit El, and Amona are all on the list.